This intensive program is designed to introduce the tools and techniques necessary to help you become a successful Astroimager. 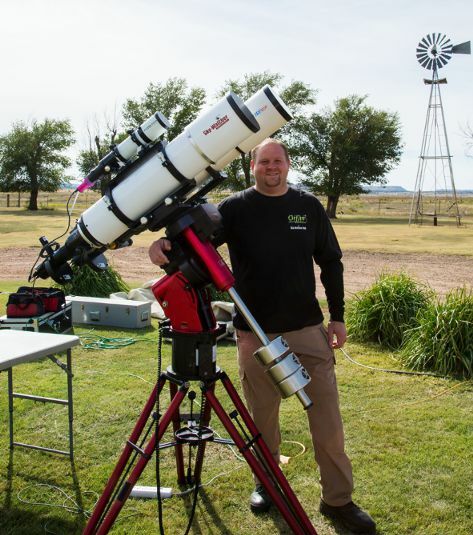 During our daytime lecture and evening imaging sessions, you will learn how digital images are created, the equipment used for gathering astro images, and the many types of targets that may be of interest to you. During the evening sessions, you will have an opportunity to see a live demonstration. Only general knowledge of astronomy and telescopes is needed. This unique session will include an actual image acquisition demonstration with an explanation of the necessary steps for gathering a successful image.